Modern decoration for the race track! 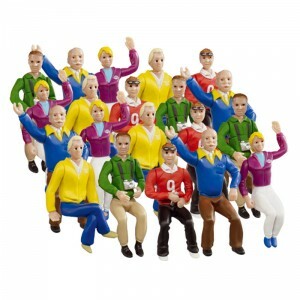 Can be used individually or grouped together among the various buildings and grandstands. 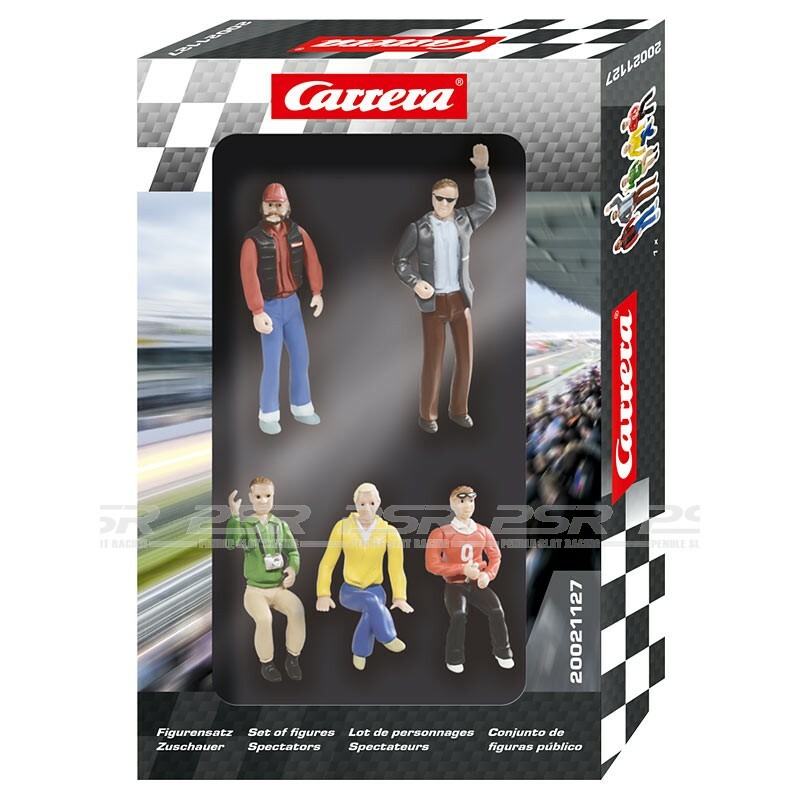 Carrera set of figures consists of 5 fans. The preparation of the coloured figures is extremely detailed and there are different, positionable or rotatable body parts! 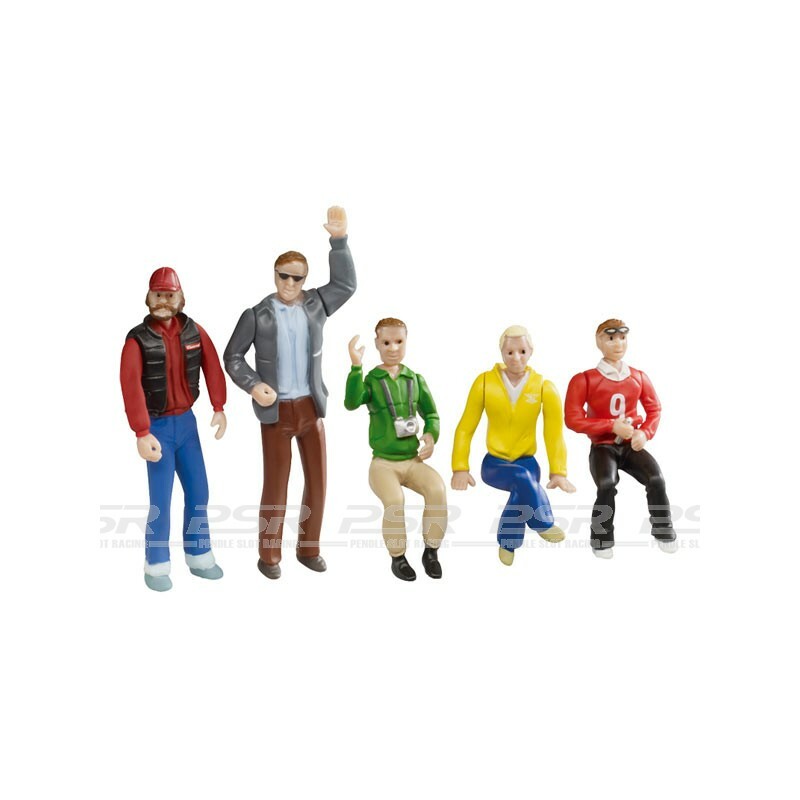 5 figures: 3 sitting, 2 standing.